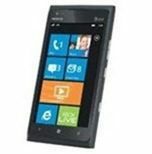 Nokia will be launching a new Windows based smartphone this Sunday, the Nokia Lumia 900. Besides the phone itself, there is a lot wrapped up in this launch. Nokia found themselves behind on the smartphone curve here in the US, missing out on a lucrative market. And so has Windows, which has been swamped by the popularity of Apple’s iPhones and Google’s Android OS. Right now, Microsoft Windows Phone OS has less than 3% of the smartphone market share. A stunningly small percentage for a company that has such a large share on other computing platforms. So with their reps on the line, what are Nokia and Microsoft offering up? The Nokia Lumia 900. It’s a 4G smartphone that will be available on the AT&T network. With a new two year AT&T contract, the price with be $99. A data plan will be required as part of the contract. AT&T has the phone available for preordering now. Amazon Wireless is also taking preorders for the phone and the price is lower, $49 with the two year AT&T contract. The Lumia 900 features a 3.4 inch AMOLED touchscreen, a 1.4 GHz processor, and 512 MB of RAM. There are two cameras on board, one 8 megapixel, the other 1 megapixel. Along with 4G, it can connect over Wi-Fi and Bluetooth. We’ll have to wait and see what the first week sales numbers are like after the Lumia 900 comes out on Sunday, but considering the reviews, and other smartphones that are available in the same price range, the launch might not be a big draw.